A dispute involving Unison health union members employed as cleaners, caterers, porters and other ancillary workers at the Royal Bolton Hospital has won. The workers took 48 hours of solid strike action in October against their employer and were gearing up for a further three days on strike. Their dispute was against their employer iFM - a company wholly owned by Royal Bolton NHS Trust. Despite previous assurances to the contrary, the trust was denying them the NHS pay award. The workers have now achieved a complete victory without the need for any further action. combined with the unity of the striking workers and the solidarity shown from the wider trade union movement, forced management back to the table. 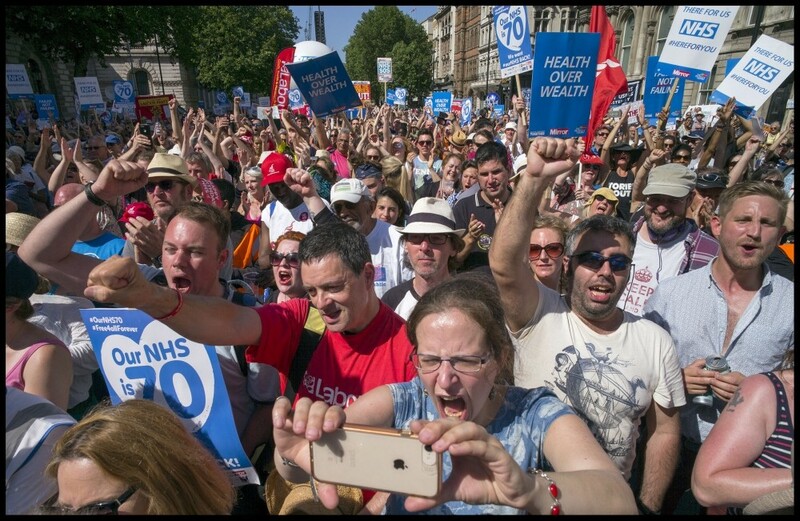 Within the space of a few hours, they gave in to all of the workers' demands, meaning that the NHS pay award will be implemented in full. The Socialist sends its congratulations to those workers for the brave and vital stand they took. This is not just a victory for these workers. It is a victory against NHS privatisation and the race to the bottom it promotes - for staff and patients. At a rally in support of the strike days before their victory, speakers from Unison's north west region declared that winning NHS rates of pay at iFM would only be the start. The real goal was to get them back in the NHS, where they belong. The trade unions must fight NHS privatisation. What Unison members have achieved at iFM shows that victories can be won.